On the loom are more towels that I’ve named Fire II. I used the colors gold, pumpkin and cayenne in the warp and burgundy in the weft. The gold looks lighter in this photo. The pattern came from A Weavers Book of 8-Shaft Patterns, Edited by Carol Strickler. I consider this book a must have for anyone with an eight shaft or harness loom. This is pattern #520 found on page 144. Next up a pumpkin weft color gave a much different look. 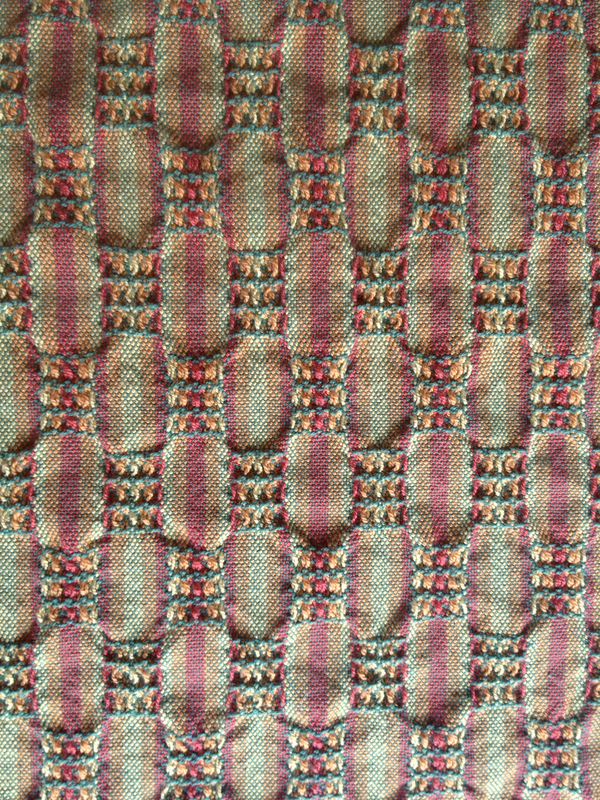 Nothing changed in weaving but the weft color. I also plan to weave a couple of towels using a different tie-up and treadling. other weft colors in some towels. We finally made it to Quintana Beach. First time this year. It was worth the wait. No seaweed on the beach or masses of people. An added bonus, an abundance of shells to collect.